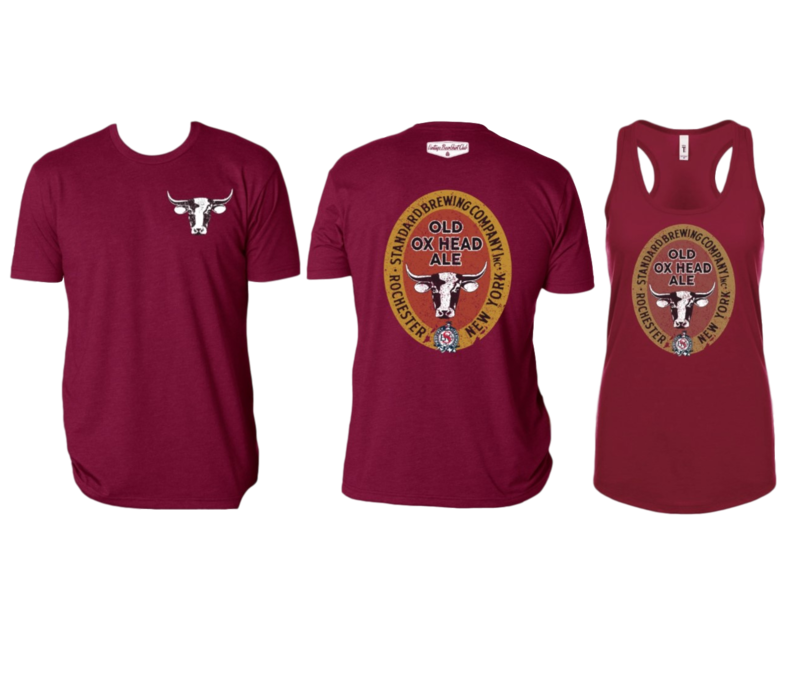 Among one of these operations was Standard Brewing Company, which produced Old Oxhead Ale, the subject of this month’s shirt. Founded in 1889, exclusively as an ale brewery, Standard had its origins near the site of the current Genesee Brew House. 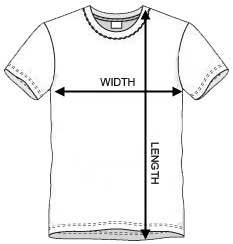 By the time Prohibition was enacted in 1920, Standard was producing a whopping 30,000 barrels per year. When Prohibition ended, only five local breweries resurfaced in the Rochester area. 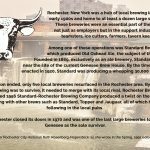 By the mid 1950s, if Standard Brewing was to survive, it needed to merge with its local rival, Rochester Brewing company. The newly formed 1956 Standard-Rochester Brewing Company produced a twist on the Old Oxhead Ale (Oxcart) along with other brews such as Standard, Topper and Jaguar, all of which had a devout following in the local pubs. 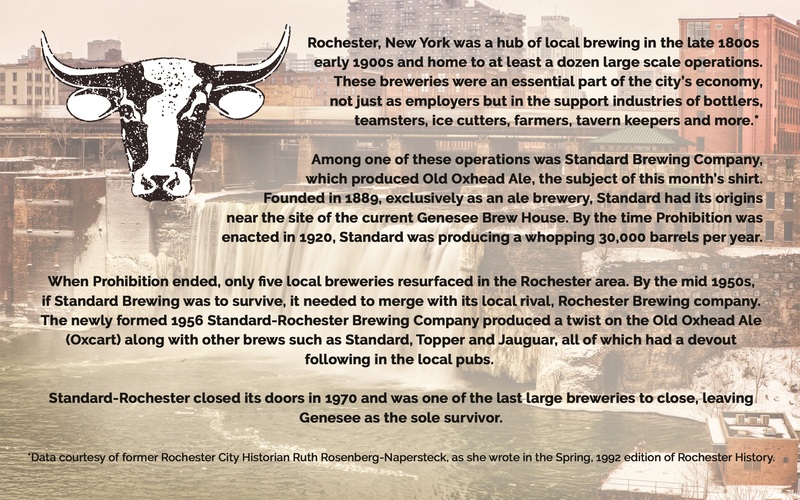 Standard-Rochester closed its doors in 1970 and was one of the last large breweries to close, leaving Genesee as the sole survivor. *Data courtesy of former Rochester City Historian Ruth Rosenberg-Napersteck, as she wrote in the Spring, 1992 edition of Rochester History.